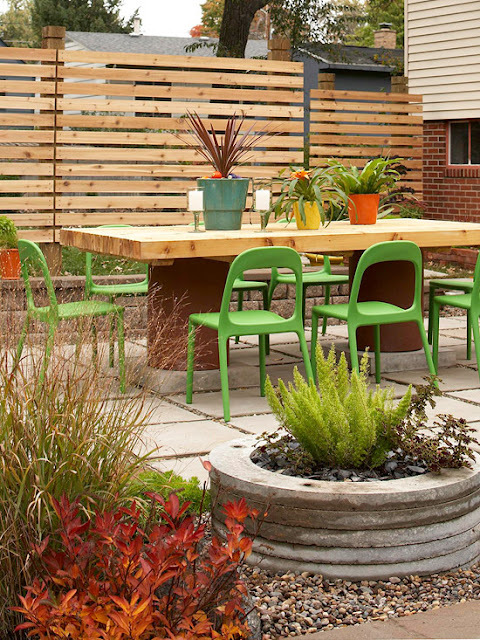 I love the way this backyard was transformed into a stylish outdoor retreat! Without using any concrete, the space was given a certain kind of privacy by using a wood slat panel. The overall design was not compromised as the wood slat panel actually matches the improvised outdoor furniture. Simple plastic chairs plus few pieces of potted plants complete the set up.